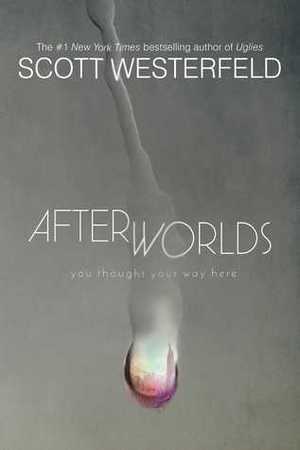 From the #1 New York Times bestselling author Scott Westerfeld comes a “masterful” (Cory Doctorow) novel-within-a-novel that you won’t be able to put down. Darcy Patel has put college on hold to publish her teen novel, Afterworlds. With a contract in hand, she arrives in New York City with no apartment, no friends, and all the wrong clothes. But lucky for Darcy, she’s taken under the wings of other seasoned and fledgling writers who help her navigate the city and the world of writing and publishing. Over the course of a year, Darcy finishes her book, faces critique, and falls in love. Woven into Darcy’s personal story is her novel, Afterworlds, a suspenseful thriller about a teen who slips into the “Afterworld” to survive a terrorist attack. The Afterworld is a place between the living and the dead, and where many unsolved—and terrifying—stories need to be reconciled. Like Darcy, Lizzie too falls in love…until a new threat resurfaces, and her special gifts may not be enough to protect those she cares about most.